I have played 630 blitz game at chess.com and only 10.3% of my games are draw; see the diagram. When I play black, my drawing rate is slightly higher than my drawing rate playing white. This is likely because that psychologically I am more content with a draw when I am playing black. I understand that usually blitz games have relatively lower drawing rates. But in World Blitz Chess Championship 2009, 26.41% of the games are draws and my blitz drawing rate at chess.com is not even half of this rate. Here is my question: Is my low blitz drawing rate an indicator that I am a relatively weaker player, or is it due to my playing style, or both? What can I do to naturally improve my blitz game drawing rate (so it looks more like top or professional players)? Here I am not interested in purposefully requesting a draw in a winning position; instead, I would seek advice on how to keep playing naturally while end up with a much higher drawing rate. At chess.com my blitz rating is around 1500. 10% is a high drawing rate for online blitz - I am drawish in classical games and an FM and have 6.6% draw rate on chess.com 3 minutes. I would suggest you use your rating as the indicator for playing strength - that is it's only purpose and it is fairly objective. I also wouldn't worry about adjectives like "weak" - it's all very relative. Chess is fun. Improving is also fun - by all means work hard on your chess just not so that you won't be "weak". I am "weak" to lots of players and I am an FM. "Weak in chess" is a rather meaningless statement. Chess is somewhat unique in regard to the skill gap between players. For information, a rating difference of 457 points means that the higher-rated player has an approximately 95% probability of winning. Now think about how many "leaps" of 457 points there are between a beginner who only knows the basic rules (which could give an Elo rating of 600 for example), an "average" beginner player who knows some strategy (1000 to 1200), a typical club-level player (1500), a very strong player who's still nowhere near Master level (say 2000), an International Master (2400) and a Super Grandmaster (2700). So, without even adressing the issue of draw rates, yes you are indeed a weak player compared to many people. But you're also a practical God compared to others. Therefore, I'll approach your question as being more along the lines of "is there a correlation between rating and draw level" rather than any subjective notion of strength. There is indeed some loose correlation between playing strength and draw rate. For example, you can look at the FICS database, which is a database of online games. 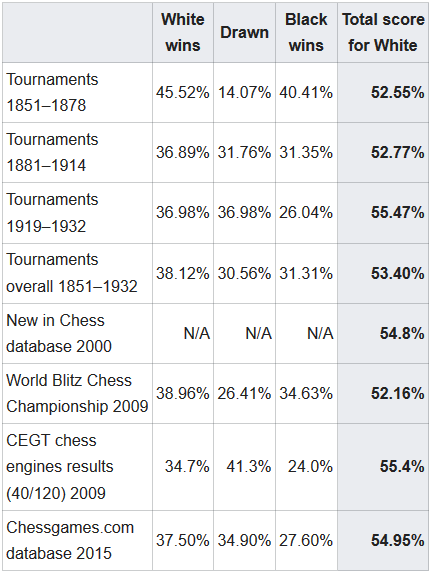 If we look at games starting with 1.e4 in Blitz time control, then the draw rate increases rather quickly as we change rating category (in order: 7%, 11%, 32%). Keep in mind that the weakest of the three categories is still with a rating of 2000 to 2200. Even if this rating is inflated, it's still well above average. But as you can see, the strongest category also has a draw rating that is somehow higher than that of the World Blitz Championship 2009. 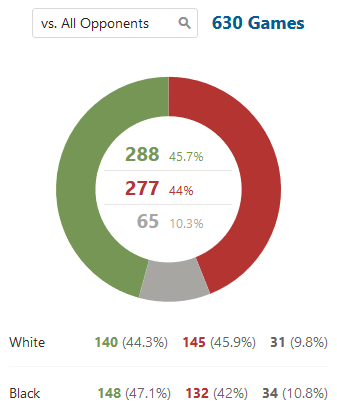 This should be enough to show that trying to infer anything at all from these results is somewhat pointless. The fact that one of them concerns online play rather than over-the-board play means that they probably should not be directly compared. To conclude, I would not worry about your blitz draw rating of 10.3%. Not only is this probably high for your Elo rating (or so I assume, given you haven't specified your rating), but even if it weren't, the path to getting better wouldn't be based on ideas of attempting to increase your draw rate. Rather, it's the other way around: improving you chess skills in other areas (time management, tactics, reducing blunders, etc.) will mean that you and your opponents will be less likely to give a free win to the opponent, thus increasing draw rates. I'd like to address what the draw percentage means (generally), and why it is often higher at higher levels of play. The easiest way to think about this is to think like a computer. When thinking like a computer, you assess it a value based on continued perfect play - on the best possible outlook for both players. In this mindset, the only type of moves that alters the analysis of the position are bad moves. The best moves do not change the analysis, but rather fulfill the analysis's predictions. Here's the key: With perfect play, the game is a draw. Wins and losses only happen because of mistakes on the part of a player. Since mistakes are the only reason that we have wins and losses in chess, it is somewhat expected that the draw rate is higher in higher levels of play, since less mistakes are made there. Of course, there are still some mistakes (and thus wins and losses) at the highest levels, and it is still possible to draw at lower levels, (we are human). However, you can see the trend here: Less mistakes on the part of both players contributes to more draws. Based on this, I don't see any connection between drawing ratio and strength.I would not worry about it at all. Me (rated about 2200) has a blitz drawing percentage of only 2% on lichess. "Relatively" compared to the 2009 World Blitz Championship players? Well, probably, but who isn't? I think your rating is a much better indicator of your strength than your draw rate. Draw rate can depend on whether you seek a draw or a win in an equal position. It can depend on whether you like to sacrifice material for an attack. It can depend on whether you tend to think a long time, and either find a win or lose on time. It can depend on whether you play people very close to your own rating, or people higher and lower than you. or is it due to my playing style, or both? Without seeing your playing style, it's hard to say. You didn't provide any games or link to your account so we can see your games. All we can say is that, in general, your play style can have a large impact. I would seek advice on how to keep playing naturally while end up with a much higher drawing rate. What can I do to naturally improve my blitz game drawing rate (so it looks more like top or professional players)? Check out the profile of the number one blitz player on Chess.com, Hikaru. His drawing rate is only 9%. That's lower than yours. This counterexample shows that a higher playing strength doesn't necessarily correlate with a higher drawing rate. You might even find an unexpected distribution on Chess.com, where the very top grandmasters have lower drawing rates than other grandmasters. I think you will find that the top 5 blitz players on Chess.com have a similar drawing rate as Hikaru. It's also not worth comparing statistics from the World Rapid & Blitz Championship to Chess.com statistics, including your own, since they are two very different environments. I think it would be helpful to change your focus from statistics such as drawing rate to the actual moves played and the actual mistakes made. The best indicator of playing strength is rating, and the second best indicator is probably a computer analysis of your games which shows the mistakes that were made. Better to focus on moves and on mistakes. Also, plans and ideas, and everything that goes into the game of chess. Not the answer you're looking for? Browse other questions tagged draw statistics or ask your own question. Are world-class correspondence games more likely to be drawn than world class OTB games? For long OTB games, what is the percentage of players who have a rating which is below X FIDE Elo? Which side has the advantage in an Armageddon tiebreak game? Is computer chess exhibiting the predicted “draw death”? Can it be said that draws occur less often between top-level players of equal caliber, rather than machine draws?